Alcoholism is a worldwide disaster that affects almost all families in some manner. It has several causes. Nutritional imbalances such as hypoglycemia can play a much greater role than is acknowledged in medical and psychological circles. This article discusses some of the major nutritional causes for alcohol addiction and cravings. These include nutrient deficiencies, toxic metal excess, adrenal gland exhaustion or overactivity, hypoglycemia and chronic yeast infection in the intestines. 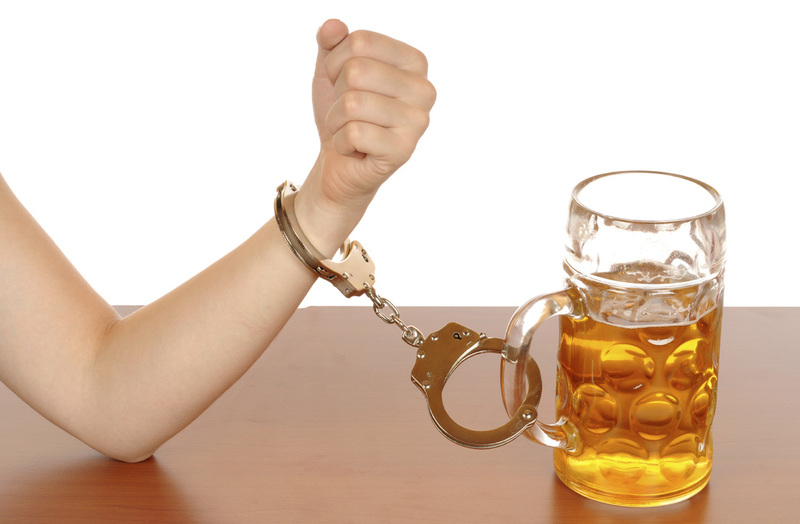 ​Then the article discusses correction and other topics related to alcoholism. Many other articles on this website discuss the abomination of modern mankind’s refined food diets. Here I will only say the modern diet does little to assist alcoholics to overcome their addiction. Fortunately, we have many vitamin and mineral supplements readily available to help rebuild the nutrient levels. However, food must not be ignored, either. Just a pile of pills is not good enough. Toxic metal excess is a problem for all of humanity today due to industrialization, contamination of the water, air and food, and the problem discussed above of nutrient depletion. As deficiencies in vital minerals develop, the body accumulates toxic minerals to replace some of the vital ones. The process is somewhat like replacing the right key in a lock with another that fits in the keyhole but the lock cannot open. As this process continues, the body functions at a lower and lower level of enzyme efficiency and energy. Turning the body around and correcting the problem is slow at first and takes a number of years. ​In particular, many alcoholics develop copper and cadmium toxicity as a result of zinc deficiency. This can result in many serious conditions. Many alcoholics also smoke. Cigarettes not only further deplete nutrients. They contain cadmium, arsenic and other anti-nutrients that replace zinc in the body, worsening nutritional depletion and contributing to other illnesses. ​ Almost all alcoholics, as well as those with other addictions, are actually tired. They use drugs to forget their fatigue in order to make life more bearable. Drugs including alcohol provide a lift for a while, but leave a person feeling worse when they wear off. The desire for another “hit” then becomes even stronger. ​Recovery involves feeling the despair of having very low energy and taking the time to rest and relax, rather than just keeping going at all cost. This is very difficult for many people. Another article on this website entitled, Addiction discussed the theory of addictions and many other aspects of addiction. Acetates. Those with a fast oxidation rate benefit greatly from a chemical called acetates. These are high energy fuel compounds. They are found only in fats and in alcohol. If a person with a fast oxidation rate does not eat adequate fats, he or she may crave alcohol to obtain acetates. Calming for fast oxidizers. Fast oxidizers use alcohol to calm themselves down. These people often have a chronic low blood sugar. They may enjoy using alcohol to give them a lift. Alcohol can provide an easily-metabolized alternative fuel for their bodies. Alcoholics all have some degree of infection in the intestines with Candida Albicans, a common yeast organism. The infection may not produce any recognizable symptoms, so it is often a hidden condition. Read about it by clicking on the link above. A healthy body resists yeast overgrowth. However, if one eats sugar, excessive carbohydrates in the diet or alcohol, the yeast organisms survive and grow. Nutritional imbalances involving copper also impair the body’s natural ability to recognize and kill candida and other yeasts in the intestines. However, for the alcoholic, extra alcohol production spells loads of trouble. It helps perpetuate strong cravings. It also produces chemicals that are highly toxic to the body, including alcohol and acetaldehyde. These further impair liver activity and further slow one’s healing process. People with candida overgrowth are slightly inebriated all the time. They may stop drinking, but their internal alcohol production continues, especially if they eat a diet with any sugars in it, including fruit. Too much starch and other complex carbohydrates in the diet also predisoposes one to yeast problems. Thus, even if one does not drink, a person often continues to experience some of the effects of alcohol intoxication including fatigue, irritability and alcohol and sugar cravings. This can seriously interfere with recovery efforts. ​Also, anyone with candida albicans overgrowth who temporarily stops eating sugar or carbohydrates can experience symptoms of alcoholic withdrawal, including strong cravings for sugar, carbohydrates, or alcohol. This can be extremely confusing until one recognizes the connection between diet, alcoholism and the overgrowth of candida and other yeasts in the body. Much more could be said about this connection, but I have covered the essential points. ​Hypoglycemia is one of the most common biochemical imbalances associated with alcoholism. This is often also true for other addictions as well. Hypoglycemia literally means low blood sugar. However, it may also refer to low cellular energy production from a variety of causes. Blood sugar testing. Over 70% of Americans have abnormal glucose tolerance tests. However, among alcoholics the percentage is between 85-95%. Dr. Larson notes in her excellent book about alcoholism that many doctors still do not want to bother with a five or six-hour glucose tolerance test to detect hypoglycemia. I prefer to assume that all alcoholics have abnormal blood sugar regulation. A complete nutritional balancing program will correct this, in most cases, and this is all that is needed. Fast oxidizer or reactive hypoglycemia. The body must have fat with every meal to keep the blood sugar stable. Fat contains more calories and has a stabilizing, calming effect on those in fast oxidation. Meanwhile, eating sugars, fruit, starches or other carbohydrates or alcohol raises the blood sugar level. In response, the pancreas begins to secrete insulin to lower the blood sugar. Normally, this should return the blood sugar level to its original value. However, in people with hypoglycemia, the pancreas overreacts and within several hours the blood sugar level declines too much. This can cause weakness, confusion, depression, irritability and intense cravings as the brain begins to starve for fuel. Hypoglycemia in slow oxidizers. These people tend to have a low blood sugar level at all times due to weak adrenal and weak thyroid glands. They can crave sugars and even alcohol because having some raises the blood sugar, albeit temporarily, and makes them feel better. However, the effect can wear off in a few hours, and the cravings return. Deficiencies of zinc, manganese, chromium, selenium, iodine and perhaps other vital minerals can also contribute to hypoglycemia. These minerals are needed for proper sugar metabolism and alcohol metabolism. All alcoholics tend toward hypoglycemia to some degree. While this is a general statement, it is usually true. It means most have difficulty regulating their blood sugar level. When it drops too low, it causes strong cravings for sugar – and alcohol. Diet is important to overcome low blood sugar. The typical diets eaten by most people just do not provide enough nutrients today. This includes fast foods, most restaurant fare and even a lot of frozen meals or microwave meals. Refined grains such as white flour, white rice and white sugar as well should be totally avoided. A proper diet is a key to overcoming and compensating for hypoglycemia. Everyone needs about 70% of the diet as cooked vegetables, in my experience. Everyone should also avoid all fruit, all fruit juices and all other sweets. Fast oxidizers need about two to three tablespoons of fat or oil with every meal, and perhaps every few hours. Slow oxidizers must have protein with each meal, in many cases. This must continue for perhaps a number of years until the body can regain the ability to regulate blood sugar normally. Deeper correction also requires a complete nutritional balancing program, or one will not really get well. This program includes more about the diet, supplementary nutrients, plenty of rest and sleep, and the detoxification procedures. Several years or more are required to fully restore proper blood sugar regulation. For more, read Introduction To Nutritional Balancing on this site. ​Click here for a much longer article on Hypoglycemia. Any method to help reverse this negative conclusion about the meaning and importance of one’s life is helpful. Reading inspiring books can be helpful. Uplifting biographies are excellent for some. Becoming interested in positive spiritual thinking can be extremely good. For example, see the article on this website entitled, The World Is Perfect. Counseling helps some, while recreational activities, good friends, healthy relationship, and meaningful work help others. Mental health professionals use the term ‘dry-drunk’ to describe a group of symptoms with which recovering alcoholics often contend. These are usually very similar to the symptoms of hypoglycemia (because they are due to hypoglycemia in many cases). They include irritability, depression, aggressiveness, insomnia, fatigue, restlessness, confusion, desire to drink, and nervousness. They even occur at AA meetings where participants often consume sugary soda pop or coffee with sugar, and smoke cigarettes as well. One cannot recover from hypoglycemia overnight. However, one can feel better in a few short weeks. A key is changing the diet to eliminate sweets and refined carbohydrates. This means letting go or at least greatly limiting candy, cookies, ice cream and colas. Replace these with cooked, not raw vegetables, some animal protein daily, and perhaps some complex carbohydrates such as rice or dried beans. Some people also require more fats and oils in the diet. Most people also feel better eliminating ALL wheat and most commercial dairy products, as these are common allergic foods. Also, stimulants such as caffeine and nicotine make the problem worse and should be minimized. Studies indicate there are differences in the way alcoholics process sugars. However, familial aspects of alcoholism are not always genetic. Some of the familial connection is congenital. This means present at birth, but not in the genes. For example, if one’s mother is deficient in zinc due to alcoholism or any other cause, her child will be born deficient in zinc. This is not a genetic defect, but simply a nutritional imbalance passed on from mother to child. This may seem unusual, but the father’s nutritional condition and biochemical balance also affects the unborn child. This occurs in several ways. Some imbalances are passed on in the sperm cells, which form the basis for all of the fetuses’ body cells. In addition, just the presence of the father in the home affects an unborn child. Congenital and environmentally-caused imbalances are often ignored because they often cannot be measured by standard blood tests. However, tissue mineral analysis can sometimes identify these imbalances in young children or even in infants, when they can be corrected before problems arise. ​Genetic testing for alcoholism is a research area at this time (2014). However, be wary of genetic testing because it does not just test genetics of DNA. Doctors often do not tell you that it also reflects RNA metabolism and protein synthesis. The latter are controlled largely by nutrients and inhibited by toxic metals. For more on this topic, please read Genetic Testing on this site. A number of doctors offer nutritional programs to help one overcome alcoholism. The program I suggest is nutritional balancing, also called development science. Advantages of this approach are it can remove two dozen toxic metals and hundreds of toxic chemicals from the body, it is excellent to relieve hypoglycemia in most cases, and it rebuilds health deeply. It requires more commitment than just taking a few vitamins. However, I believe it is well worth the effort. I always suggest counseling or A.A. along with a nutritional balancing program because most people need this. Components of the program include a healthful lifestyle (discussed below), a diet of mainly cooked vegetables to replenish many minerals in the body, about 8 nutritional supplements, and 4 or 5 detoxification procedures that are not required, but will speed progress a lot. Quality chiropractic therapy is also often helpful. Each program is individualized based on the results of a hair tissue mineral test. This gives us vital information that I have not found available from blood tests to help set up the nutritional program. ​On this program, food allergies and yeast or candida problems go away on their own, without needing special diets or supplements for them. To read much more about nutritional balancing, please read Introduction To Nutritional Balancing. This website has many other articles about this subject, as well. Rest And Sleep. Enough rest and sleep are of great importance, in all cases. This is because rest is needed to rebuild the body in everyone. There are no exceptions. Naps are also excellent. Late nights are the worst, as much regeneration occurs during the hours before midnight. Go to bed by 8-9 PM or as close to it as possible. Begin slowing down early in the evening, eat supper at an early hour if at all possible, and it is alright to just rest in bed if one cannot sleep immediately. Natural sleep remedies can help. If needed, take something to hasten rest and sleep. Drugs can be used for sleep if needed. Often, however, nutrients such as calcium, magnesium, 5-htp, melatonin and others will suffice. No amount of nutrition or other methods will overcome a lack of rest and sleep. Deep Breathing, Sunshine, Some Light Exercise and Positive Thoughts And Emotions. These are the other factors that make up an excellent lifestyle. Relax, enjoy life as much as possible. Do not fret, and do not take on more problems than you can easily handle. ​These are simple ideas that go a long way toward any kind of healing. Many alcoholic people are very generous and kind. They must keep track of their energy use and set up boundaries for themselves so they do not stress their bodies. If they do not do this, they can undo all the hard work they have put in to moving away from alcohol or, for that matter, from other addictions as well. Alcoholics Anonymous or AA is a fabulous organization founded by Mr. Bill Wilson in the mid-twentieth century. Unfortunately, this organization does not teach excellent nutrition, and many people suffer as a result. Crook, W., The Yeast Connection, Professional Books, Jackson, TN, 1983. Larson, J.M., Seven Weeks to Sobriety, Ballantine/Wellspring, New York, 1997. Milam, J, Under the Influence, Madrona Press, Seattle, 1981. Phelps, J., The Hidden Addiction, Little Brown and Company, Boston, 1986. Williams, R., Prevention of Alcoholism Through Nutrition, Bantam Books, New York, 1981. Wilson, L., Nutritional Balancing And Hair Mineral Analysis, Center For Development, 2010, 2014, or 2016 editions. If you think you have a problem with alcohol (wine, beer or other) or seem to not be able to go without alcohol for a few days or for one-week, you may wish to consider starting a nutritional balancing program. I will help you with your diet and can consult you based on the 12 steps program. Click here and start today!